TEMPERAMENT: Onboard and READY to ROLL. Why It Matters NOW. …those with a neuroticistic temperament may be ‘normal,’ fairly calm and collected people; however, they may also lean toward nervousness. And, of course, the nervous sorts more frequently suffer from ‘nervous disorders’ – neuroses. 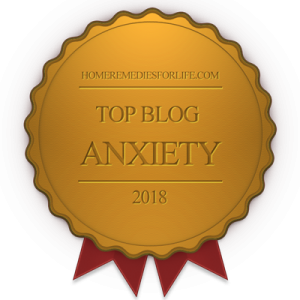 If I’d read that intro when I began my anxiety recovery journey decades ago, I’d have thrown up my arms, cracked open a cold one, and carried-on with my panicked and agoraphobic life. But coming to understand and accept it has created loads of extra room in my head. Space I use for realistic, creative, and targeted interventions – and hope. Two weeks ago I posted “Why Are We SUFFERING? 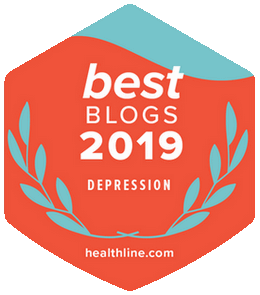 Were We Just ACCIDENTS Waiting to Happen?” In that piece I presented the diathesis-stress model, which offers an explanation as to how emotional/mental disorders are acquired. Simply, it’s the collision of predispositional vulnerabilities (diatheses) and stress from life experiences. Temperament, a portion of our personality, is but one of those diatheses. Dr. George Boeree is a retired Shippensburg University psychology professor. One of his specialties is personality theory. Dr. Boeree maintains a wonderful presence on Shippensburg’s website that’s loaded with online texts, papers, and more. I am a frequent visitor and encourage you to stop-by. I’ll slip you a link at the end. Boeree is my one and only info source for what you’re about to read. And I gotta’ tell you, you’re getting your money’s worth with this baby, so get comfy. 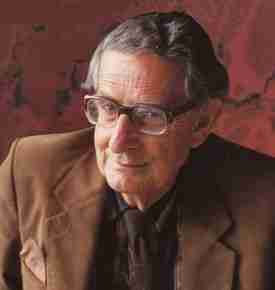 One of my very favorite psychologists is Hans Eysenck (1916-1997). Amazingly, he wrote 75 books and some 700 articles. Temperament was his primary interest. Let’s be clear from the get-go. Eysenck believed temperament is genetically-based and physiologically-supported. And being a research psychologist, he used hard science and mathematics to back his position. According to Eysenck, those with a neuroticistic temperament may be “normal,” fairly calm and collected people; however, they may also lean toward nervousness. And, of course, the nervous sorts more frequently endure “nervous disorders” – neuroses. I am neuroticistic. Now, it’s really important to understand that Eysenck wasn’t saying anyone who’s highly neuroticistic is neurotic. No, they’re simply more likely to develop neurotic problems. Curious guy that he was, Eysenck wanted to understand the foundation of neuroticism. And the first place he looked was the sympathetic nervous system (SNS), home of our fight/flight response. Perfect place to start, if you ask me. Eysenck figured some of us simply have a more reactive SNS than others. I mean, some people stay calm during emergencies, while others feel a good bit of fear. Still others become terrified by even minor incidents. Eysenck believed the last group has issues of “sympathetic hyperactivity,” which makes them prime candidates for assorted neurotic disorders. I’m with him 100%. You? Here’s something for you, panic attack sufferers. Eysenck explains them as similar to the ear-busting feedback screech you get when a microphone gets too close to a speaker. As it goes, the small sounds entering the microphone get amplified and come out of the speaker. And the dynamics build and cycle until finally you get the screech. According to Eysenck it’s the same with a panic attack. Okay, so something moderately frightens us (add one of your phobias). That gets our SNS cookin’, which makes us even more jittery. And that makes us all the more sensitive to stimulation, which fosters even more anxiety and upset. And on and on it goes. Funny, isn’t it? We end up responding more to the panic crescendo than the original fear trigger. Actually, in its simplicity it’s very hopeful. Eysenck submitted that extraversion-introversion is really about how our brains balance “inhibition” and “excitation.” Excitation is the brain waking itself up and getting into an alert and learning mode. Inhibition is the brain calming itself down – relaxing and going to sleep or protecting itself in the face of overwhelming stimulation. Eysenck observed that someone who is extraverted tends to have good to strong inhibition. 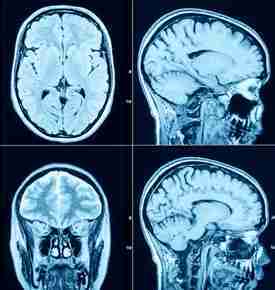 So when an extravert experiences a traumatic event, their brain inhibits itself, becoming “numb,” if you will, to the event. As a result, they may have very little recall of what occurred. And since they don’t seem to feel the full mental impact of what happened, they often cruise forward as though, indeed, nothing happened. The introvert, according to Eysenck, has poor or weak inhibition. When the trauma occurs, their brains don’t come to their rescue fast enough because they don’t shutdown. Actually, they remain highly alert and learn well, remembering every detail of what happened. Bottom-line: they’re highly affected by the trauma and will likely avoid similar circumstances for a time, if not forever. Being the research hound he was, Eysenck just had to examine the interaction of neuroticism and extraversion-introversion, and how it generates assorted psychological problems. One of his findings was people with phobias and obsessive-compulsive disorder tend to be quite introverted. Those with, say, conversion or dissociative disorders were more extraverted. Why? Eysenck submitted highly neuroticistic people over-respond to fearful stimuli. Now, if they’re introverts, they’ll quickly and thoroughly learn to avoid panic-generating situations – even to the point of becoming panicky when facing small symbols of those situations. The development of phobias is common. Other introverts will learn specific behaviors that hold-off their panic, such as multiple checking of things or repetitively washing their hands. The neuroticistic extraverts become good at ignoring and forgetting things that overwhelm them. They engage in classic defense mechanisms, such as denial and repression. So, for instance, they can conveniently forget a romance gone bad (dissociation) or, to the extreme, forget their ability to feel and use their legs (conversion). Some time later, Eysenck realized he wasn’t addressing all populations with just two dimensions of temperament. So off he went to the mental institutions of England and developed a third, psychoticism. Given it doesn’t really apply to the mood and anxiety disorders, we’re not going to discuss it. However, if your inquiring mind wants to know, do some digging. Okay, so now we know about temperament and its proposed role in generating emotional/mental disorders. But why does it matter – now? First of all, do you believe temperament, a portion of personality, is onboard and ready to roll when we come into the world? In addition to Eysenck’s work, think about your own temperament. How did you come by it? I mean, do you really believe your brain was a blank slate when you were born? And think about babies. Some are cranky and difficult, others are cheerful and easy-going. Aren’t these expressions of temperament? I think you know by now, I’m all in. It may initially be hard news to handle, but I don’t see how temperament can be reversed. Using one of Eysencks’s suppositions, what if some of us really do have more reactive sympathetic nervous systems, even to the point of “sympathetic hyperactivity?” And what if that characteristic is physiologically and/or anatomically driven? Well, for those who aren’t aware of temperament, or haven’t accepted its influence, there’s going to be more striving to be symptom-free and more heartache and anger when it doesn’t happen. For those who accept temperament and the role it plays in their lives, there’s going to be a focus upon realistic, creative, and targeted interventions – like watching what you feed that over-reactive sympathetic nervous system. And you can count on a great reduction in the tension and turmoil generated by constant inner-wrestling. No doubt, change is good, when change is realistic. Why would you want to waste your time and energy trying to alter something set in stone? It just doesn’t make any sense. Many thanks to Dr. George Boeree for his wisdom and sharing. Please visit his site. Plenty more where this came from. Eyeball tons of Chipur mood and anxiety disorder titles. Previous Post: Cognitive DISSONANCE: For a good shot at FEELING BETTER, read this.